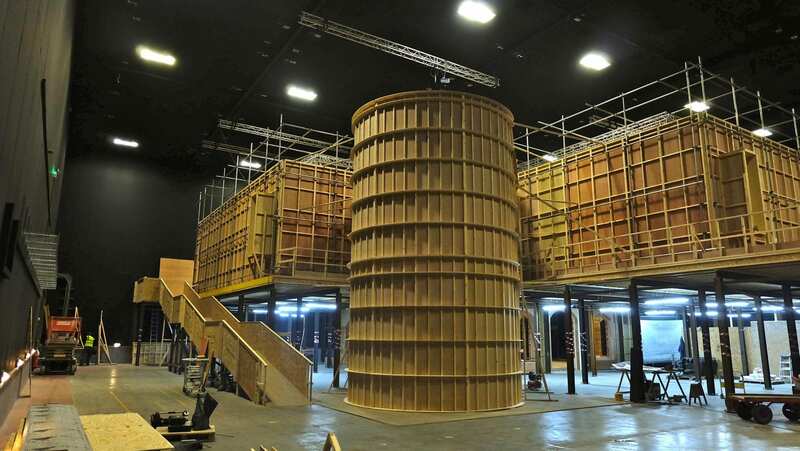 This is the outside walls of the Paris apartment set, the oval section is the staircase. All the metal pipes are put up by the rigging team, these are put up on the outside of the set to make all the walls and ceiling pieces structurally sound. The metal grid also give light crew something to rig all the lighting equipment to.The ramp to the left is for crew and camera access, this way cameras and prop carts and equipment can be easily rolled up to the different apartment rooms.